*SPECIAL OFFER* £100 OFF THIS VEHICLE FOR LIMITED PERIOD! AS NEW Pre-registered Cars! A couple of pre-registered Panda Cross are available, green in stock and a couple of other colours may be possible. Delivery Mileage car, registered at end of last month and so New it has not even had the PDI pack opened yet! 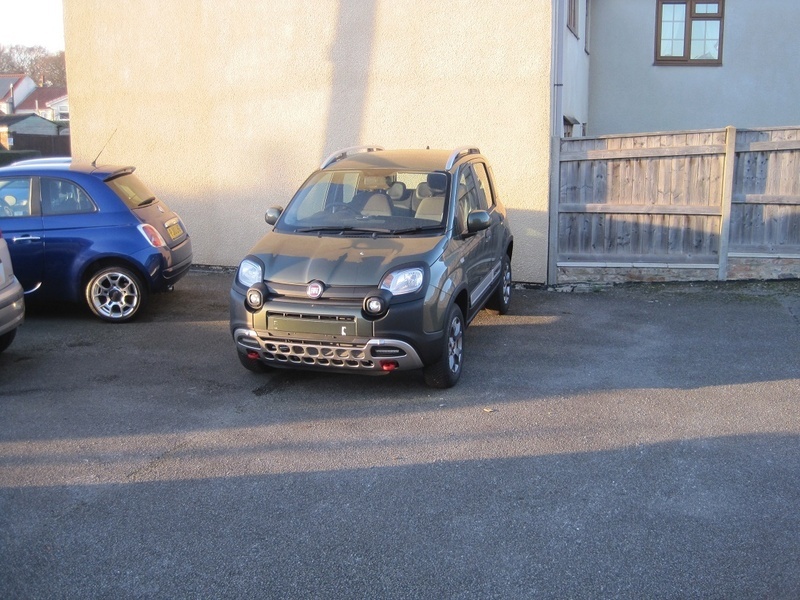 We also have a selection of affordable used Panda 4x4 cars IN STOCK!, Upgrades - Metallic Paint, Three Rear Seatbelts & Head Restraints, Five Seat with 40/60 Split Fix&Fold Rear Seat, New bodywork, Interior - New Condition, Four wheel-drive, Standard Features - Air Conditioning, Bluetooth Radio w. Smartphone Cradle, USB/Aux-in, Hill Holder. 5 seats, Tuscany Green Metallic, REDUCED FOR QUICK SALE! *SPECIAL OFFER* £100 OFF THIS VEHICLE FOR LIMITED PERIOD! *SPECIAL OFFER* £100 OFF THIS VEHICLE FOR LIMITED PERIOD!